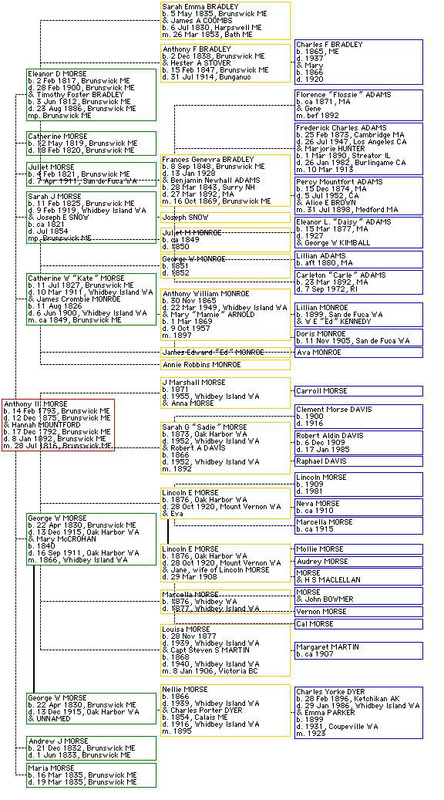 These Morse relatives are the ones known to Frederick Charles Adams in his lifetime and mentioned in his diaries. His grandmother, Eleanor Morse, remained in Maine with her husband, Timothy Foster Bradley. Her brother George moved to Whidbey Island WA in 1858 and her sisters Juliet, Catherine and Sarah followed in the late 1870's.